Perfect for older children who love to tinker with wooden toys, the very clever Woodies collection shows wooden toys aren’t just for babies and toddlers! 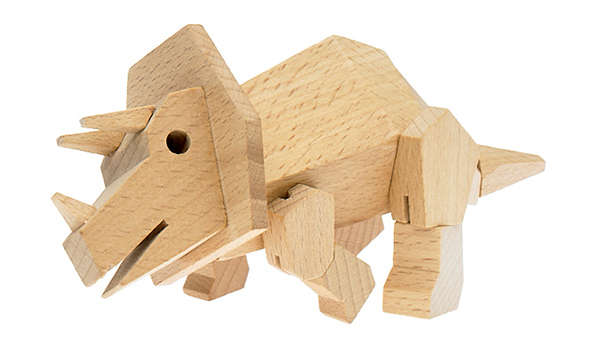 Destined to be a toy box hit, you’ll find over a dozen flexible wooden toys in the Woodies Collection. Toys come in both small and large sizes and include whales, sharks, dinosaurs and robots – all just waiting for little hands to take them on an adventure. 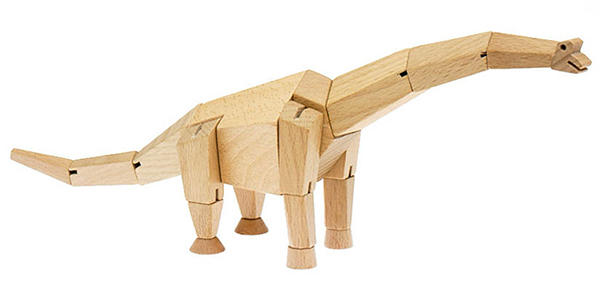 Australian designed and made from sustainably grown beechwood, these wooden toys from Woodies are delightful to look at and plenty of fun to play with too. Kids can manipulate the toys easily because they have flexible elasticised joints and fins. They’re bound to provide hours of endless imaginative play – and when they aren’t in play mode, they look pretty fine proudly displayed too. Woodies Collection toys are available directly from Go Home. Prices begin at $24.95.